It is important that any information that is held by governing bodies is correct and accurately recorded because some information can effect a person’s ability to work in certain fields. This is why the FMCSA is asking for states to provide the State Commercial Driver’s License Program Plan. This requirement was in the MAP-21 Act that was passed in 2012. 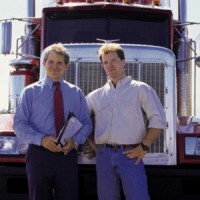 It requests that all states provide a plan to the secretary of transportation detailing the actions to take if, after an audit of the program, they notice any areas needing improvement to ensure accurate information records as per the legal requirements set out by the Commercial Motor Vehicle Safety Act. To ensure that this information is recorded accurately and any plan is implemented, the FMCSA is looking to approve the collection request, an ICR. Once in place, it will ensure that the states all comply with current legislation about commercial driving information, which includes licenses, testing, any violations, convictions, and disqualifications. They must all be recorded in the proper way and as accurate as possible. It is important for business owners that they are able to accurately check the details of any driver before hiring them to make sure they are able and qualified to perform the task and any job requirements. This prevents any possible hiring of disqualified drivers or ones not meeting criteria set out by the company. It is important for the FMCSA to ensure that the states are providing accurate information and following the correct procedures. If there are any changes that come to light in an audit, a plan must be implemented and forwarded to the secretary of transportion outlining the plan of action to improve their commercial driving license programs. This is an important step forward in ensuring only information accuracy and keeping safe drivers on the roads while removing bad drivers.